I arrived in Vancouver completely jet-lagged and confused, and getting through immigration was only the start… but a few hours later I was in a hostel, surrounded by people from all over the world and in downtown Vancouver at the centre of it all. Vancouver is beautiful! It is the perfect mix of city life and outdoors. You walk 5 minutes down the road from sky rise buildings and traffic to see the sea and mountains, I’ve never seen anything like it. IT’S AMAZING! Coming from London, I’ve always been used to non-stop, busy and fast paced city life, but here city life is just as busy but relaxed and chilled out; music is blasting from cars, people dancing and taking salsa lessons on the streets, outdoor Zumba classes and much, much more. 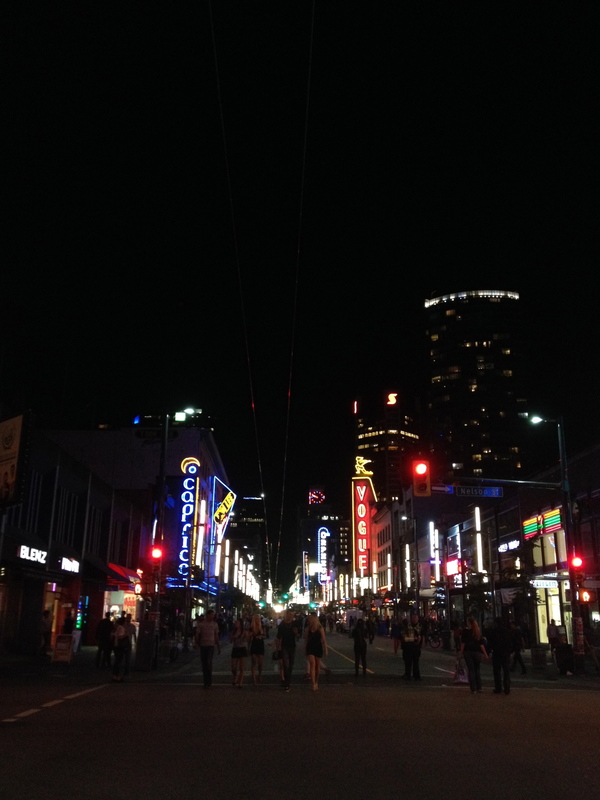 I stayed at the Same Sun Hostel on Granville Street, and it was definitely the best choice! I was daunted by the fact that I’d be staying there for 9 days before campus accommodation opened up and I could move in, but I would not change a thing. The people there are so friendly and everyone is in the same situation, looking to meet people and explore the city. 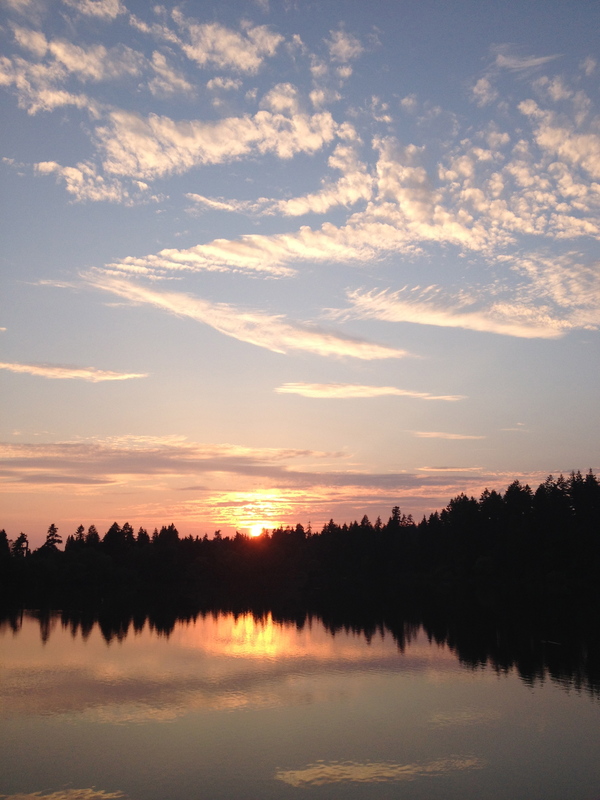 I spent the 9 days visiting the main spots like Stanley Park (go there at sunset! ), Granville Island, Gastown and China Town and meeting different people from all over the world daily. 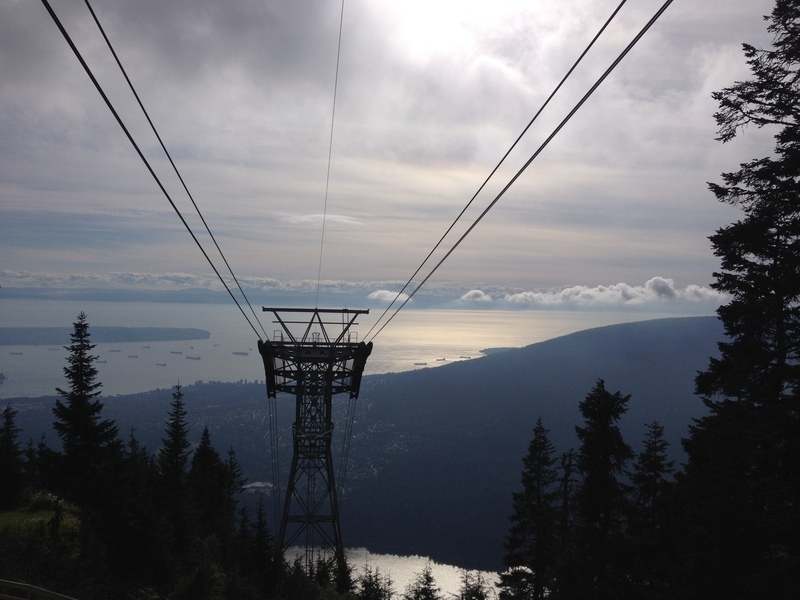 But the best part of it was definitely climbing Grouse Mountain, one of the hardest, most amazing things I have ever done! I was told it was a short, hour-long hike… no no no! It is a good 2 hours of uphill hiking, but worth EVERY MINUTE FOR THE VIEW (and bears!!) from the top. Definitely do it, despite all the blood, sweat and tears shed, I would do it all over again! 9 days later we made it to UBC and it could not be more different from Manchester! The campus is HUUUUGE and basically a village of its own; you even need to take the bus to get to some parts of it, crazy! It’s so beautiful here. I’m living in Walter Gage on the 8th floor and my view looks out onto sea and mountains. Waking up in the morning could not be better! I’ve been here 2 days now and I still can’t get over how beautiful everything is. You walk 10 minutes from your room and you’re on the beach. (I spent my first trip there saying “WOW” and “I can’t believe it” for a good 10 minutes before it finally sank in that I’m living here for a year.) The flats in Gage are perfect; 6 people to a flat and Walter Gage as a whole is really social so there are different events on each night. So far my time here has just consisted of meeting more people and exploring UBC! I am in love with it here already! I would definitely recommend staying at a hostel downtown before moving in to accommodation: it gives you the time to meet other international students going to UBC, as well as people from Canada and all over in general, (which sets you up for great connections if you decide to go travelling after!). Also, campus is so big and it takes 20 minutes to get downtown from UBC, so staying at a hostel gives you the time to see Vancouver properly before getting completely immersed in campus life. I hope this blog has somehow been helpful and given you a better idea of what the beginning of Van City life is like! This next week is going to be filled with frat parties, BBQs and making the most of the weather and beach before summer ends! UBC’ING ME SOON!